Dropped the bat, looked away, said nothing—ejected. That’ll teach him to not angrily and demonstratively disagree with the call, like a real professional! 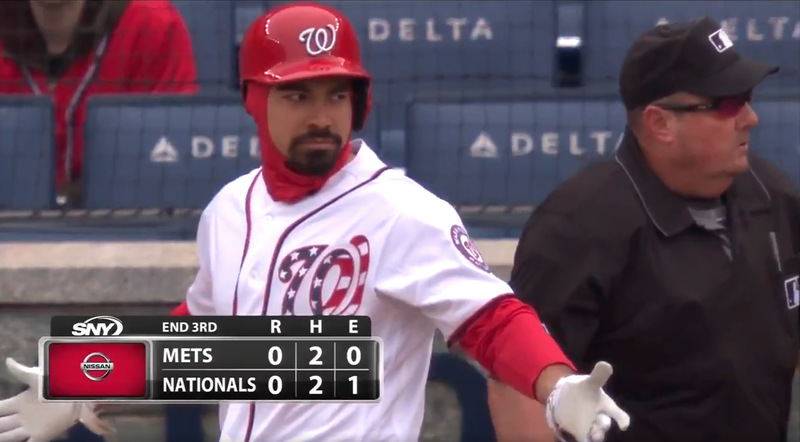 Davey Martinez, Rendon’s manager, let Foster have it, at least earning his first career ejection as a manager. Someone give that big angry baby a warm bottle!